ESPN+ is invested in the world of soccer, holding streaming rights for leagues for out-of-market MLS matches, Serie A, the UEFA Nations League, and more. Starting this year, they’ll also be the exclusive home to one of the more fun events in American soccer, the U.S. Open Cup. That’s thanks to a new deal between ESPN and U.S. Soccer that sets up ESPN+ as the home for all U.S. Open Cup matches through 2022. All U.S. Open Cup matches from the First Round through the Final will air exclusively on ESPN+, the direct-to-consumer sports streaming service, beginning this year and running through the 109th edition of the tournament in 2022. The deal, negotiated by Soccer United Marketing (SUM) on behalf of the U.S. Soccer Federation, includes rights in all languages. The draw of the U.S. Open Cup is probably those early round matches that can feature fairly random amateur or lower level professional teams against MLS clubs. It’s similar in setup to England’s FA Cup, in that way. It’s never really caught on nationally despite American sports fans having an innate love of knockout tournaments and potential underdog stories, although that’s partly because it’s never been all that easy to find games to watch. This deal changes that, and allows ESPN to promote it across their other soccer broadcasts as well. It solidifies it in one place for years to come, which is key. And moreover, it gives ESPN+ more inventory to appeal to soccer fans, who along with UFC enthusiasts are probably the market most likely to be interested in subscribing to ESPN+, at least given their current rights packages. Also, this deal is interesting as it runs all the way through the final; many of the streaming deals we’ve seen so far, such as Turner’s deal with the UEFA Champions League, have put big matches on cable and other matches on streaming. But with this U.S. Open Cup deal, even those only tuning in for the final will have to get ESPN+ to watch it. We already said that ESPN+ is the most likely subscription service to succeed going forward, and deals like this only serve to strengthen that view. 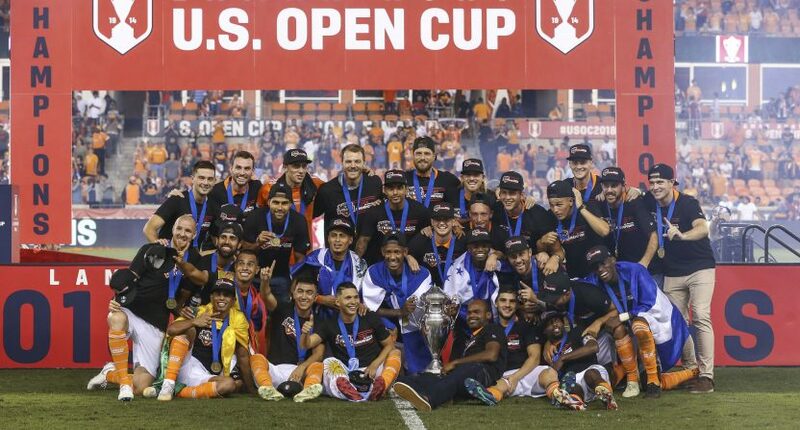 The U.S. Open Cup isn’t a flashy property, yet. But there’s solid growth potential, and it appeals to the targeted audience.